Casper became a national celebrity when newspapers ran the story of the amazing cat that regularly took the No. 3 bus on journeys around his home town, Plymouth, in Devon. While his devoted owner Sue Finden had wondered where her elusive pet was disappearing to each day, Casper was brightening the lives of countless commuters. Bus drivers, too, were getting well-acquainted with Casper, and notices went up in their depot alerting staff that a very special passenger might board their vehicle. In fact, he became a mascot for the bus company, and pictures of him and Susan adorned No. 3 buses. When Casper was sadly killed by a car in early 2010 messages of sympathy flooded in from places as far a field as Australia and Argentina. It quickly became clear that Casper and his remarkable story had touched the lives of many people around the world. 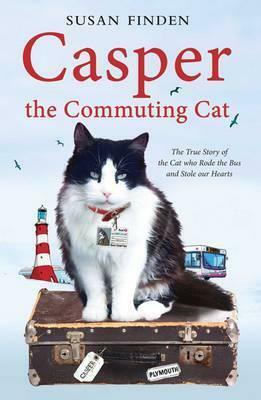 Movingly told by the owner who loved him dearly, Casper the Commuting Catis the touching story of a very special black-and-white cat who rode the bus and stole our hearts. Susan Finden is a mother of three and part-time care worker who lives in Plymouth. She has rescued and provided a home for scores of cats over the years and is also an active campaigner for animal welfare.